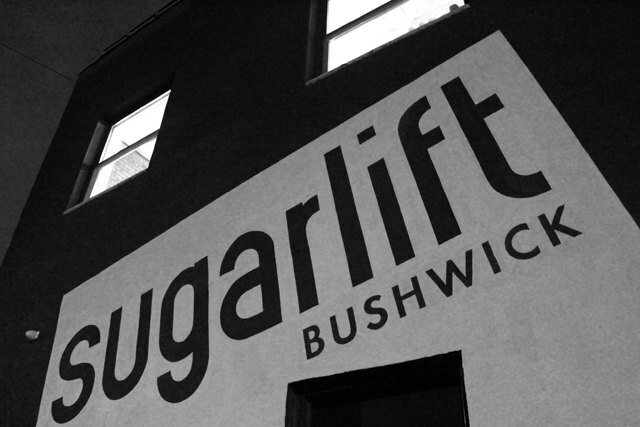 We first told you about the new online art gallery – Sugarlift – in our round up of neighborhood art news from 2014. 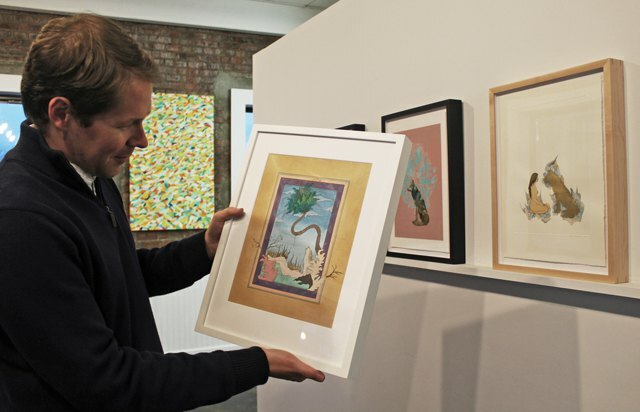 Having launched in November of last year, they are studying the pulse of the Bushwick art scene, moving through micro climates and forming mini movements all from their home base at 200 Morgan Avenue. Among those mini movements are a series of volume launches that will take place on a bi-monthly basis. Volume 001 featured hand-printed small batch pieces as well as archival digital editions by artists Chris Wilcox, Joe Hollier, Foale Durkin, Isaac Mann, Fanny Allié and Amy Barkow (pictured above in the gallery space), all available online at sugarlift.com. 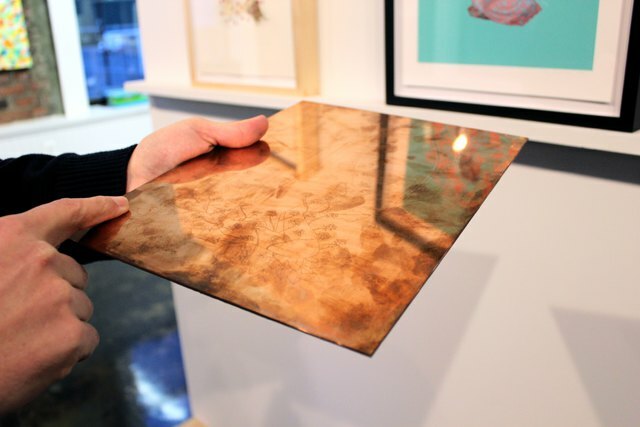 A personal favorite of mine was the set of digital pigment prints by Hiba Schahbaz, which involved the process of intaglio onto a copper plate. Her portrait series involved pigment printing as well as etching with watercolor, combining personal narratives and resemblances with recognizable imagery in "Silent Cry" and "Untitled (Portrait with Wolf)" highlighted below. Releasing later this week is Sugarlift's second collection of local works: “Volume 002 (Cut & Paste)” with a launch party on Thursday, January 15th from 7-10 pm, which I'm excited to attend. Featuring the Brooklyn Collage Collective (BCC), the exhibition will include new works by BCC co-founders Lizzie Gill and Morgan Lappin as well as 11 other artists from the group. You may have seen recent works from these artists at Schema Art Space, Armature Art Space, The Living Gallery and Bushwick Open Studios. The “Volume 002 (Cut & Paste)” works promise to treat viewers to imagery full of time warps and surrealist landscapes, eliciting notions of science fiction and the unconscious. 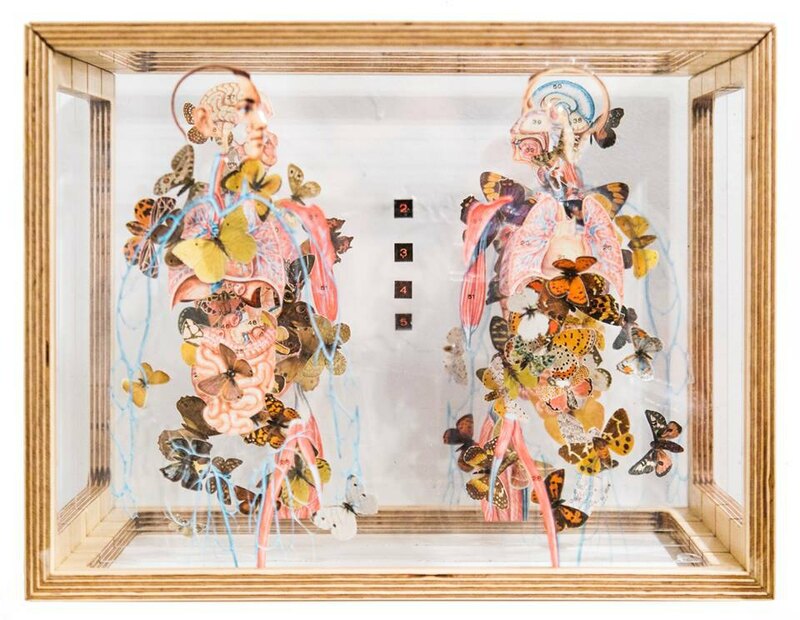 Sugarlift tells us "with this new exhibition, Sugarlift is shining a light on an increasingly influential group of artists in its neighborhood, and attracting new patrons to the diverse, vibrant world of collage in the 21st century." Wright Harvey and his Sugarlift co-founder Bart Piela are taking the temperature of the art in our industrial landscape to relay a more realistic pulse of today's artists and collectors. At the heart of Sugarlift's mission is the goal to produce affordable works for the young collectors of our generation, stemming from Harvey and Piela's driving desire to collect from artists of our generation and age. Part of the experience (as seen in Volume 001's works) has included the pairing of young artists with various artists who have mastered a particular medium and can challenge them in a medium they have not entered into before; inasmuch they're not only connecting artists with collectors, but artists with other artists as well. Harvey tells me from inside Sugarlift's home base, "Artists our age should not have a mature style. We're looking for artists that are continually evolving and pairing them with someone who has already mastered the medium, and helping younger artists gain new eyes on their own work." 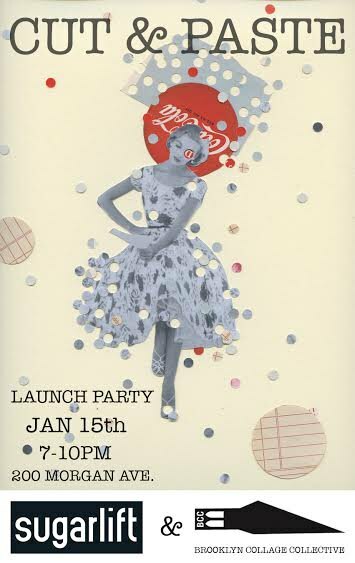 The launch party for “Volume 002 (Cut & Paste)” at Sugarlift, 200 Morgan Avenue on Thursday January 15th, from 7 to­ 10pm. 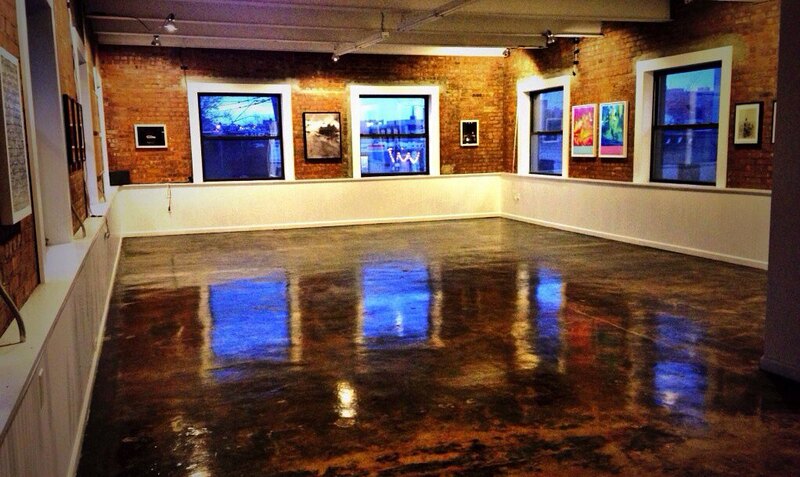 The works will be available for purchase at the Bushwick gallery and on sugarlift.com.